Happy Saturday! The guys at Harper Impulse have kindly asked me to host a Q & A with the lovely Caroline Roberts to celebrate the release of her new book The Cosy Christmas Chocolate Shop. The Cosy Christmas Chocolate Shop is a festive, heartwarming read with lots of chocolate added in. Trust me..it'll make you both hungry and christmassy. I have already read the book and loved it. My review is here if anyone fancies having a look. 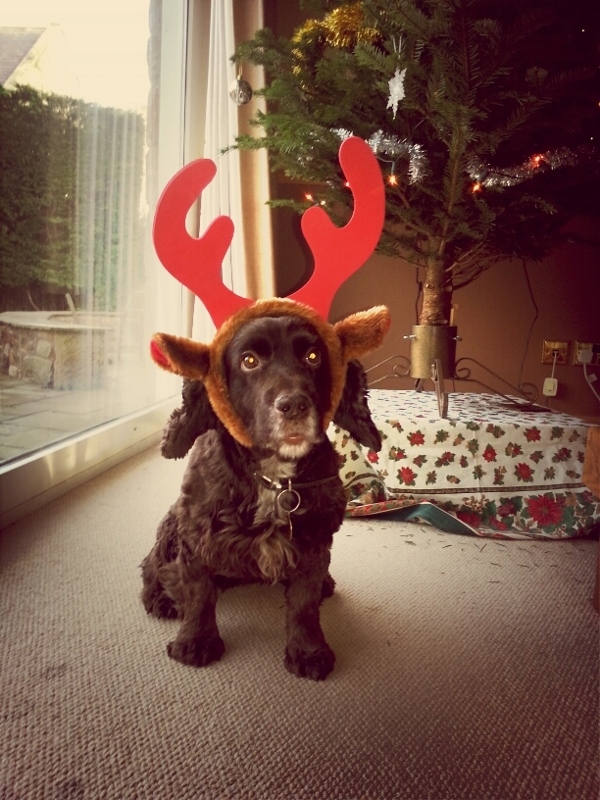 What are your favourite Christmas traditions? Do you have any unusual ones? 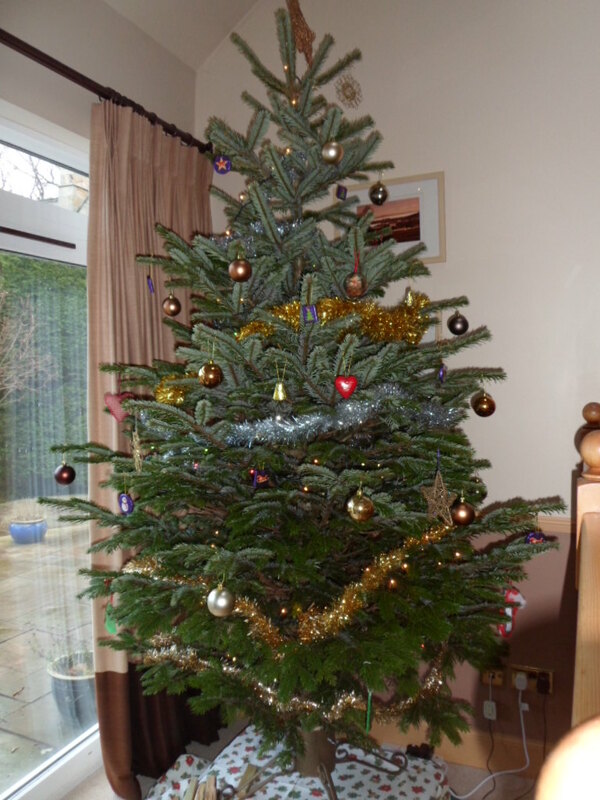 I love decorating the Christmas tree – we always get a real fir tree and it looks so pretty and festive. There are decorations from years ago, and things the children made when they were little, as well as new ones. It’s like Christmas is really here when the tree goes up. 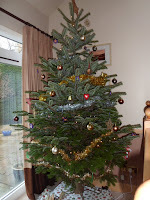 Christmas Stockings – I still have them, even for my big kids now! 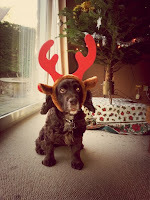 Putting furry antlers on the dog to make her look like Rudolph. What would be your perfect present this Christmas? Having all the family together on the day is pretty perfect to me. And a lovely gift would be something like a minibreak to look forward to when it’s cold and grey in January. If you could spend Christmas anywhere in the world, where would you go? I’d stay in Northumberland with my family. I love a traditional Christmas at home. I’ll be the one cooking roast dinner, after a few festive lunchtime drinks in the pub with our friends. The village has a really lovely atmosphere at Christmas. I might be persuaded to go away for New Year though, that’d be fun. Perhaps somewhere snowy. Who would you love to see play Emma, your main character, on the big screen? Ooh, maybe the actress Eleanor Tomlinson, who plays Demelza in Poldark. Emma has a mane of red hair and is independent, at times feisty, and wants to protect her chocolate shop and her heart. A big thank you to Caroline and the team at HarperImpulse for letting me be a part of this amazing blog tour. The Cosy Christmas Chocolate Shop is out now!